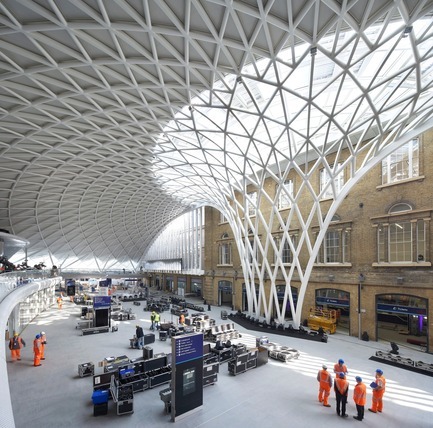 With this multi-phased development now complete, the significance of the King’s Cross Station redevelopment is finally revealed. 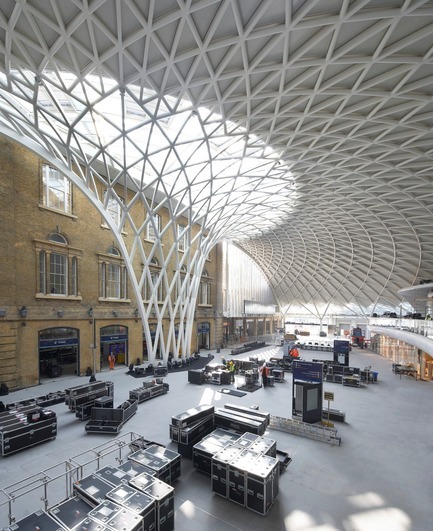 The transformation of King’s Cross Station for Network Rail involves three very different styles of architecture: re-use, restoration and new build. 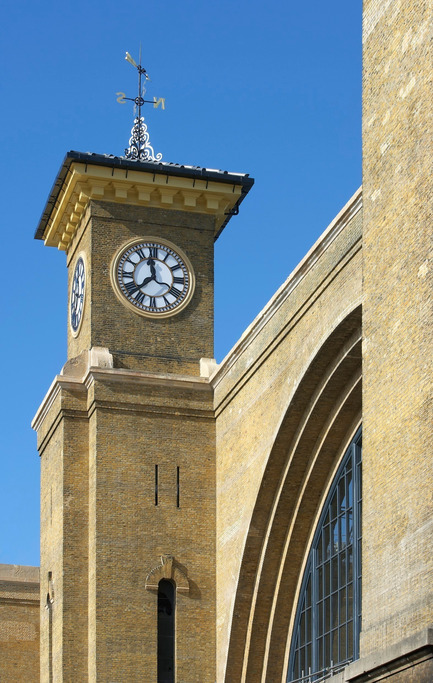 The train shed and range buildings have been adapted and re-used, the station’s previously obscured Grade I listed façade is being precisely restored, and a new, highly expressive Western Concourse has been designed as a centrepiece and the 'beating heart' of the project. 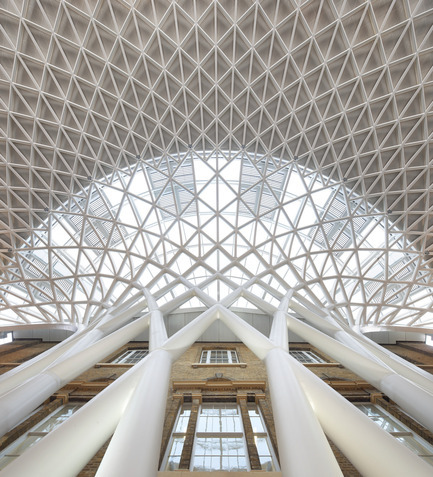 When the station opens to the public next Monday, 19 March, King's Cross will become a new, iconic architectural gateway to the city, ready for the 2012 London Olympics. 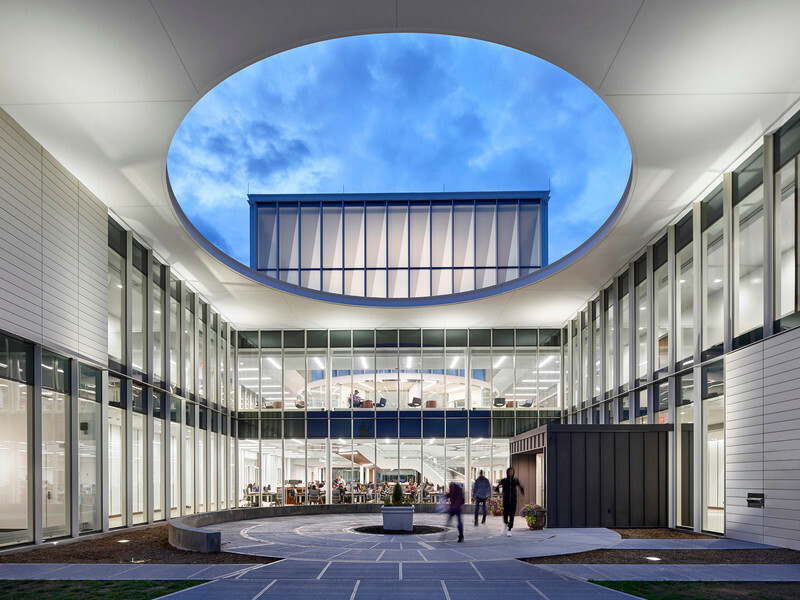 John McAslan + Partners began work on the project in 1998 and established the overall master-plan for the development in 2005. 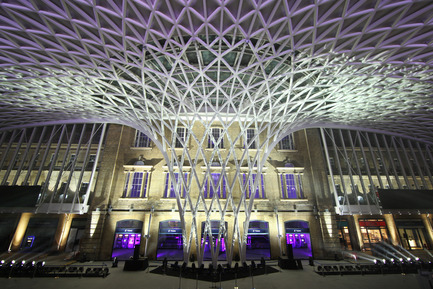 As a result the practice has played a key role in the wider transformation of the King's Cross area - infrastructural, social and commercial changes that now connect the station with the massive King’s Cross Central scheme north of the station as well as to St Pancras, the London Underground, and the surrounding urban context. 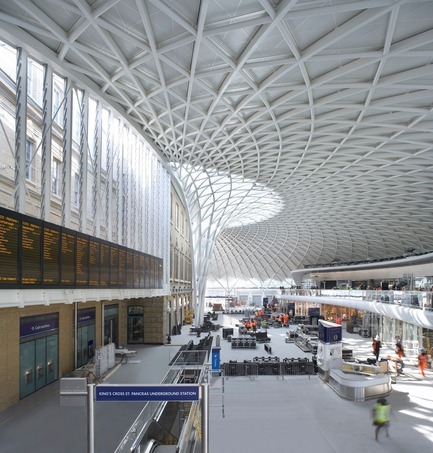 The architectural ambition of JMP’s scheme has been to create a new iconic landmark that will function as a key catalyst for the ongoing regeneration of this new London quarter as well as providing striking new facilities that will accommodate the 50 million passengers now passing through the station each year. 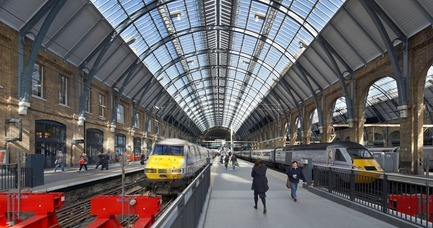 The station’s Main Train Shed is 250m long, 22m high and 65m wide, spanning eight platforms. 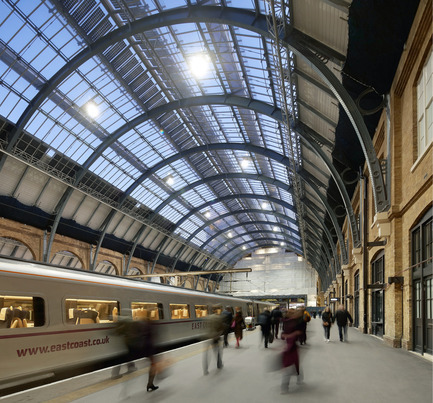 The restoration includes revealing the bold architecture of the original south façade, re-glazing the north and south gables and refurbishing platforms The two barrel-vaulted roofs are currently being refurbished and lined with energy-saving photo-voltaic arrays along the linear roof lanterns, while a new glass footbridge designed by JMP extends across the Main Train Shed, replacing the old mid-shed Handyside bridge and giving access to every platform as well as the mezzanine level of the concourse. JMP’s design integrates the main and suburban train sheds for the first time, creating a completely coherent ground-plan for passenger movements into and through the station. Improvements to the Suburban Train Shed located to the north of the Western Concourse and Western Range buildings have enhanced the operation of its three platforms (the busiest in the station during peak-hours). 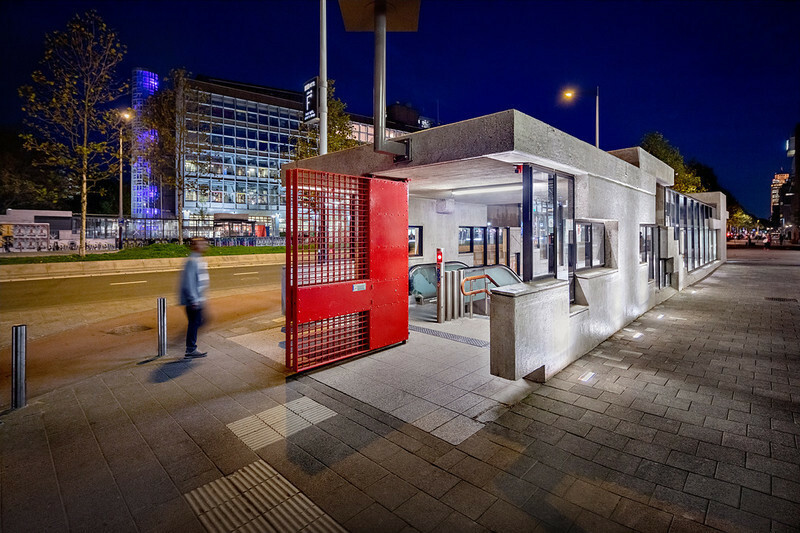 The ambitious transformation of the station creates a remarkable dialogue between Cubitt’s original station and 21st-century architecture - a quantum shift in strategic infrastructure design in the UK. 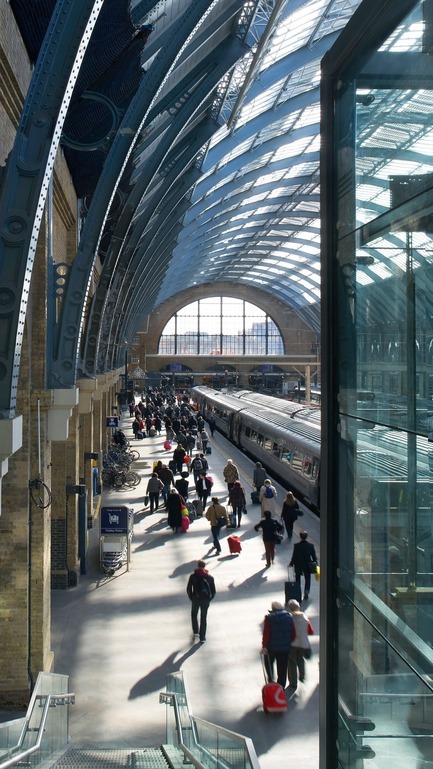 This relationship between old and new creates a modern transport super-hub at King's Cross, whilst revitalising and unveiling one of the great railway monuments of Britain. The practice's portfolio is diverse - the transformation of a former factory in central Moscow into an award-winning mixed-use and residential complex, new cultural and apartment buildings within the Heart of Doha project in Qatar and the new British Embassy building in Algiers, as well as a significant portfolio of high-end residential developments in London. 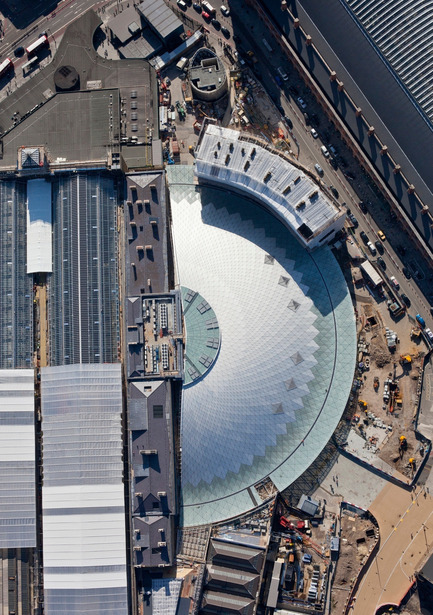 The centrepiece of the £547m redevelopment is the new vaulted, semi-circular concourse to the west of the existing station. The concourse rises some 20m and spans the full 150m-length of the existing Grade I Listed Western Range, creating a new entrance to the station through the south end of the structure and at mezzanine level to the northern end of the Western Concourse. 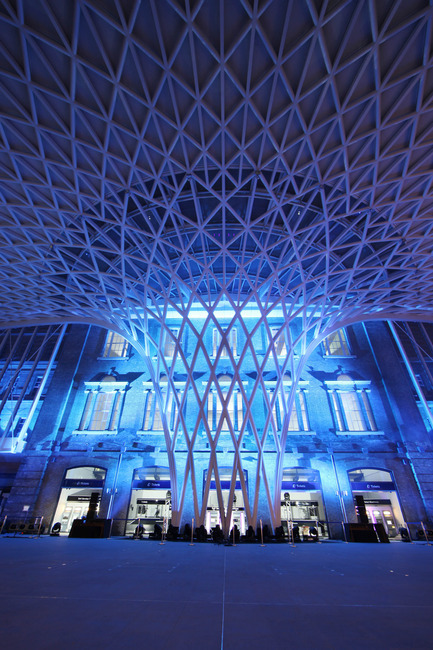 The 7,500sqm concourse has become Europe’s largest single-span station structure, comprising of 16 steel tree form columns that radiate from an expressive, tapered central funnel. 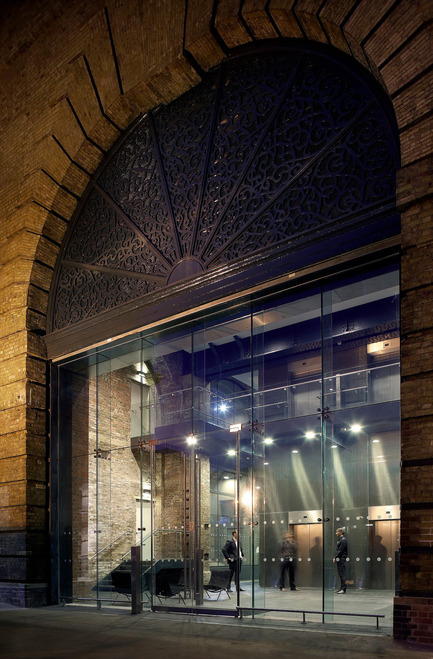 The graceful circularity of the concourse echoes the form of the neighbouring Great Northern Hotel, with the ground floor of the hotel providing access to the concourse. 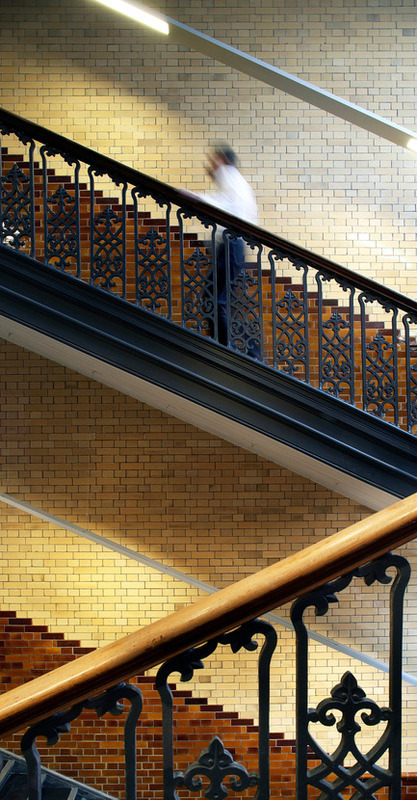 The Western Concourse sits adjacent to the façade of the Western Range, clearly revealing the restored brickwork and masonry of the original station. 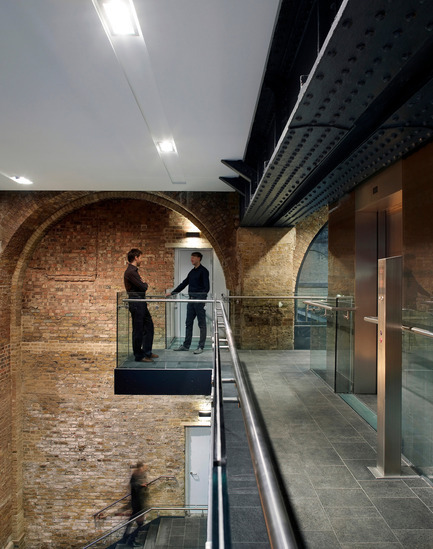 From this dramatic interior space, passengers access the platforms either through the ground level gate-lines in the Ticket Hall via the Western Range building, or by using the mezzanine level gate-line, which leads onto the new cross–platform footbridge. Located above the new London Underground northern ticketing hall, and with retail elements at mezzanine level, the concourse will transform passenger facilities, whilst also enhancing links to the London Underground, and bus, taxi and train connections at St Pancras. 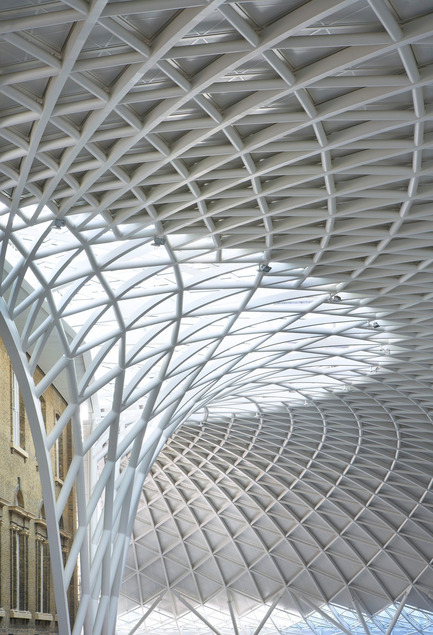 The concourse is set to become an architectural gateway to the King’s Cross Central mixed-use developments, a key approach to the eastern entrance of St Pancras International. 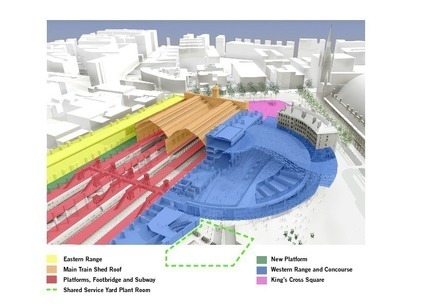 It will also act as an extension to King’s Cross Square, a new plaza that will be formed between the station’s southern façade and Euston Road. 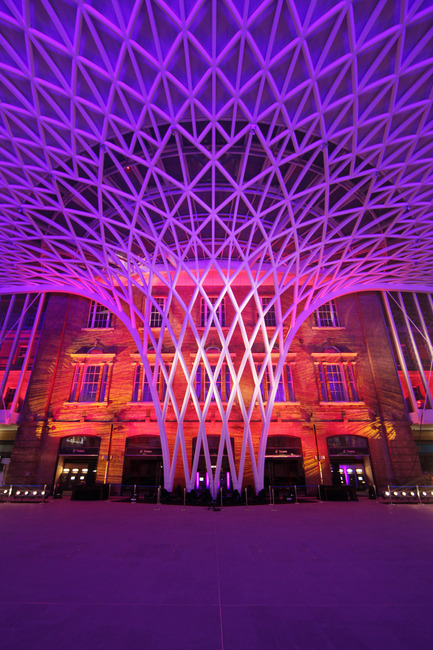 The Western Range at King's Cross is the historic station’s biggest component, accommodating a wide range of uses. 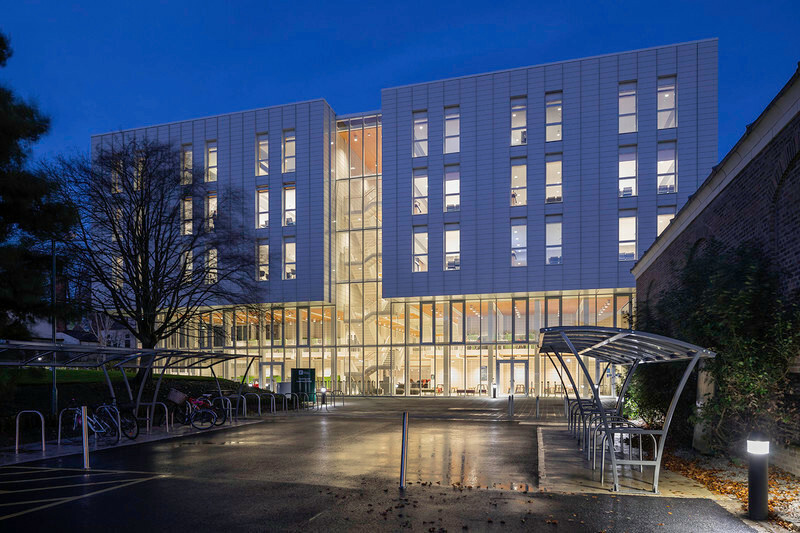 Complex in plan, and articulated in five buildings, the practice's considered architectural intervention has delivered greatly improved working conditions for the station staff, train-operating companies and Network Rail management teams. 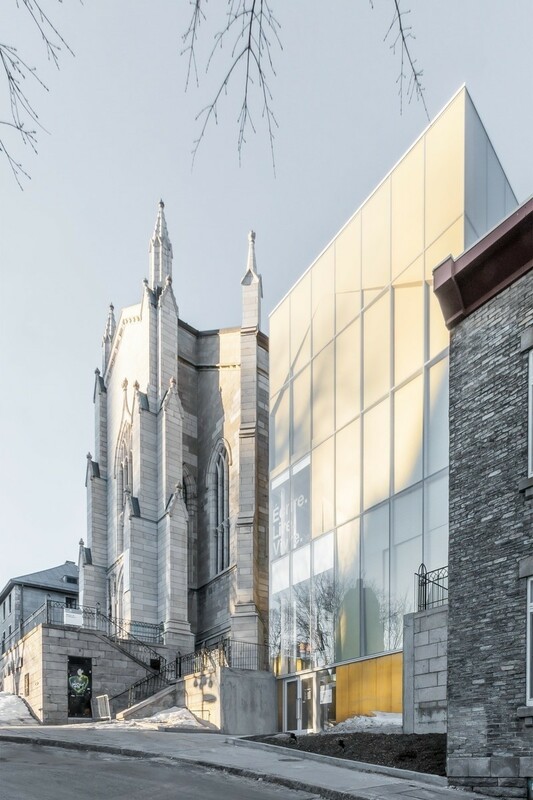 The Northern Wing, destroyed by bombing in World War II, has been rebuilt to its original design. The reinstatement of the Western Range also delivers key gated connections, including a new gate-line at the southern end, now the main point of connection between the Western Concourse and the platforms of the Main Train Shed. John McAslan CBE was born in Glasgow in 1954. He was educated at Edinburgh University, obtaining a MA in Architecture in 1977 and Diploma in 1978, along with the Diploma year prize. 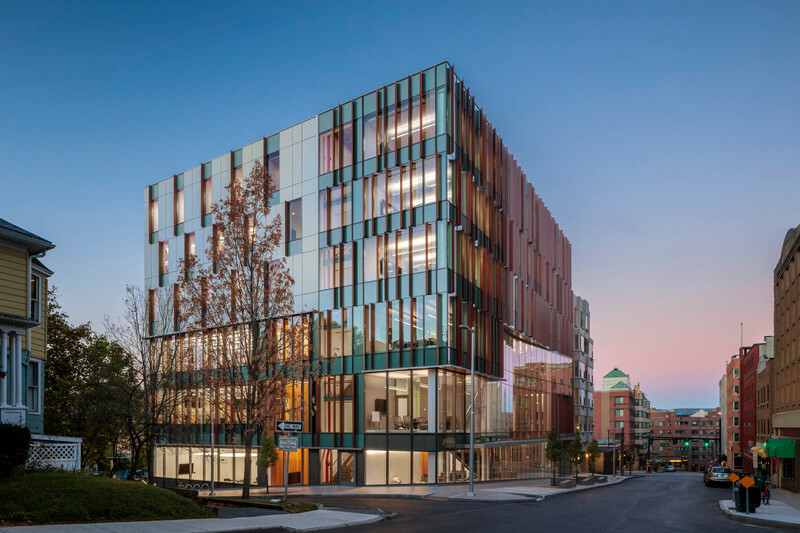 He trained in Boston USA with Cambridge Seven Associates before joining Richard Rogers and Partners in 1980 where he was a Project Architect on two built schemes. 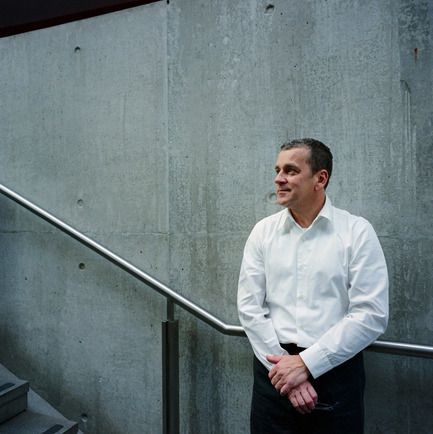 In 1984 he became a founding partner of Troughton McAslan, and formed John McAslan + Partners in 1996. John McAslan is Executive Chairman of the practice and is active in all of the practice’s work. In 1997 he established the John McAslan Family Trust, which, as a registered charity, provides support for arts and educational projects both in the UK and overseas. 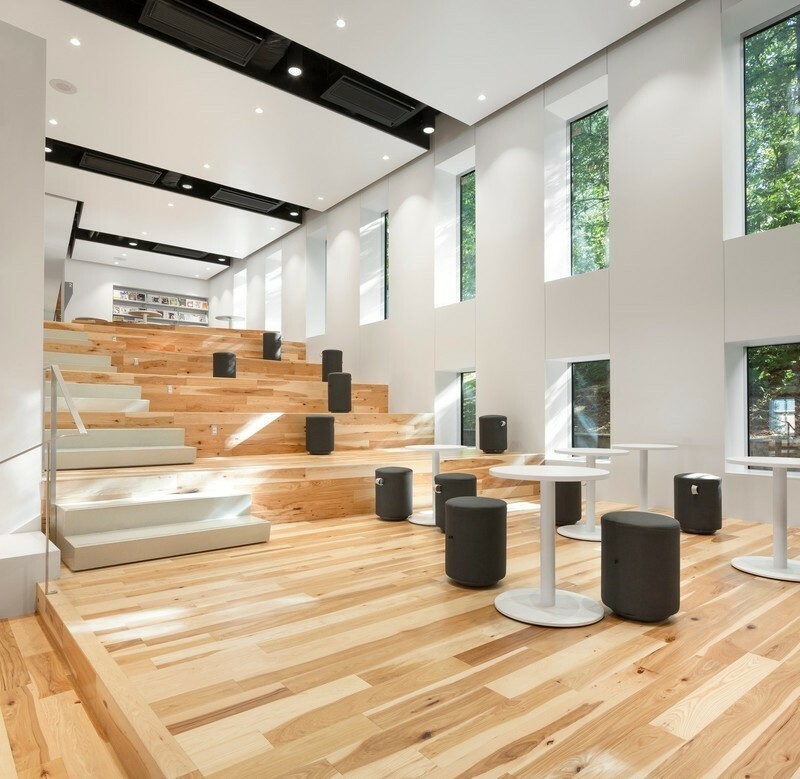 Beyond his UK affiliations, he is a member of the Japan Institute of Architects and an International Associate of the American Institute of Architects. 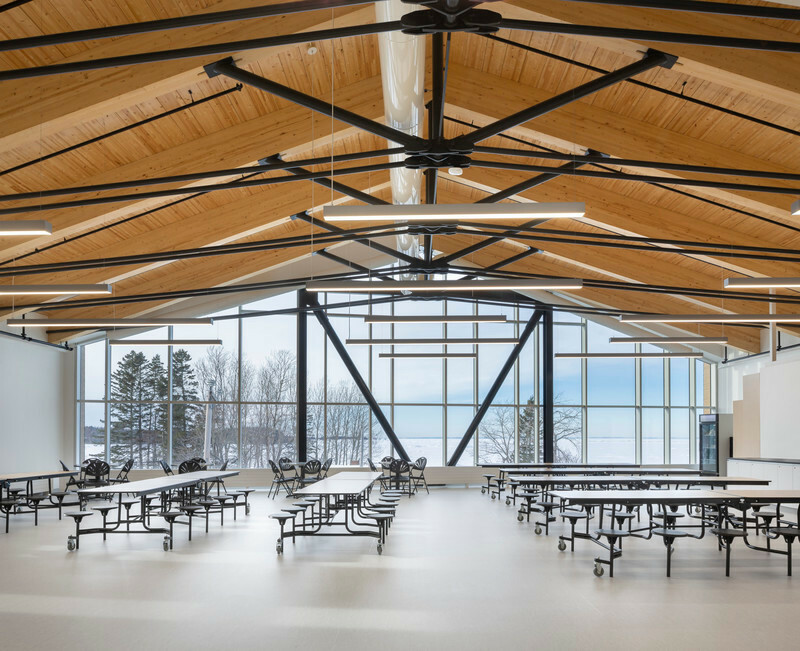 John McAslan’s work has been published internationally in professional journals, newspapers and in the form of monographs, first by Thames & Hudson in 1999, and in Spring 2002 by the Architectural Review. In 2005 Merrell Publishers produced the practice’s third book, ‘The Culture of Building’. 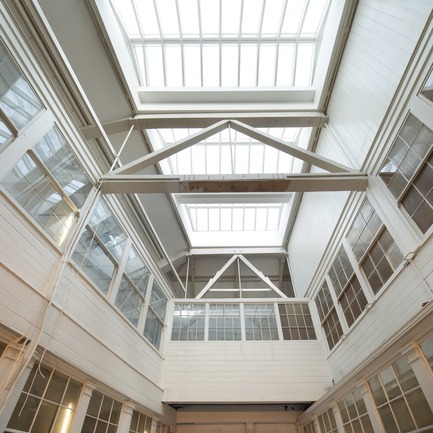 He has exhibited the practice’s work extensively, while receiving in excess of 50 international design awards, including 15 RIBA National and International Awards in the last 15 years. John has taught and lectured extensively and is an assessor for a number of awards. (Details are available on request). This project has publication restrictions: It is necessary for media to obtain v2com’s permission before publication.